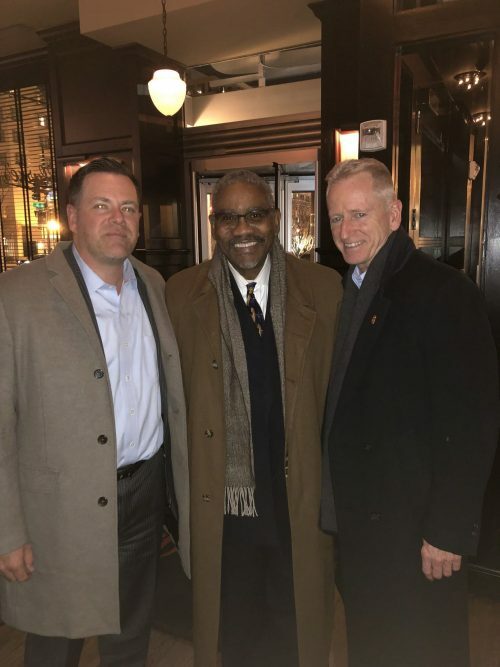 MDASR partner Sean Riordan met with Congressman Gregory Meeks and FDNY Ret. Chief Richard Alles to discuss the crucial issues our nation's first responders face daily. Sean is an outspoken advocate for First Responders, having joined with advocacy groups such as the FealGood Foundation and Congressional leaders to help pass legislation that affords greater health care and benefits to men and women that respond to emergency situations. The Law firm of McIntyre, Donohue, Accardi, Salmonson & Riordan LLP successfully argued and established causally related death as a result of toxic exposure from the tragic events of September 11, 2001. The claimant, a Local 40 electrician, selflessly chose to volunteer his services following the attacks on the World Trade Center. He spent two days volunteering and was instrumental in removal of steel beams and debris on the pile. Even though the claimant was only at Ground Zero for two days, that exposure was enough to cause malignant melanoma which metastasized to his chest, abdomen, bones, adrenal glands, and lymph nodes. That exposure to the carcinogens at Ground Zero was proven to have significantly contributed to the development of the claimant’s metastatic malignant melanoma and ultimately, his untimely death. As a result the surviving widow and children received a retroactive award of $155,000.00 as well continued lifetime benefits for the surviving widow. Thank you to our late claimant and all of the other brave men and women who risked their lives, most giving the ultimate sacrifice, in the name of our country’s and city’s safety. 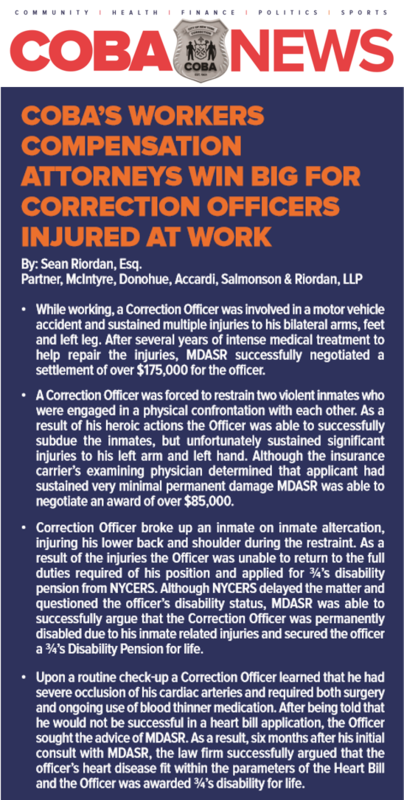 –Written by Timothy Finnegan, Associate Attorney.